This large tote has ample of room for your belongings. 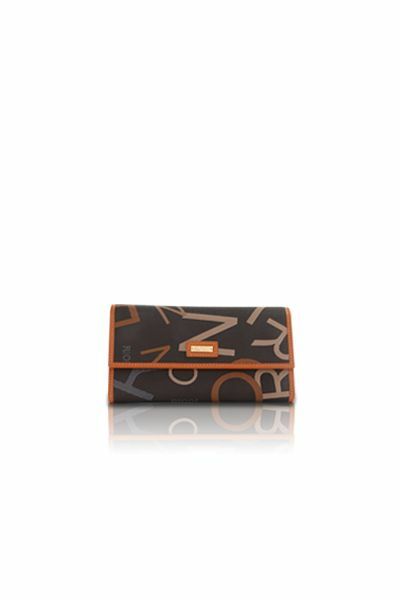 mocha designer canvas body with multi-shades of brown scrambled RIONI letters, trimmed with dark caramel brown leather and leather dual handles. Silver hardware. Pleated bottom. The exterior contains a front zipper pouch and a back zipper pocket. 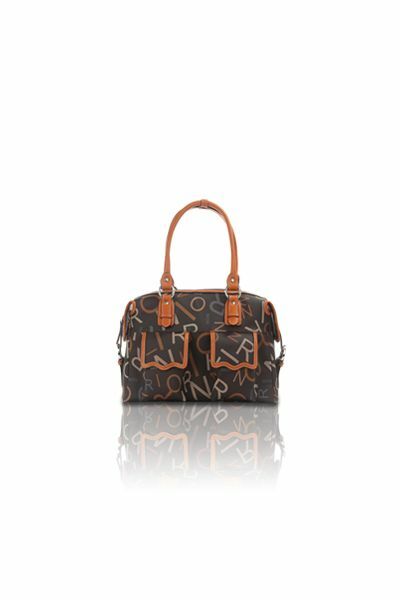 The top zipper closure opens to coffee RIONI monogram fabric print lining. Interior consists of a zipper pocket, a slip pocket, and a cell phone pocket. L15 x W6.5 x H12"
Product: Traveler Tote was added to cart.